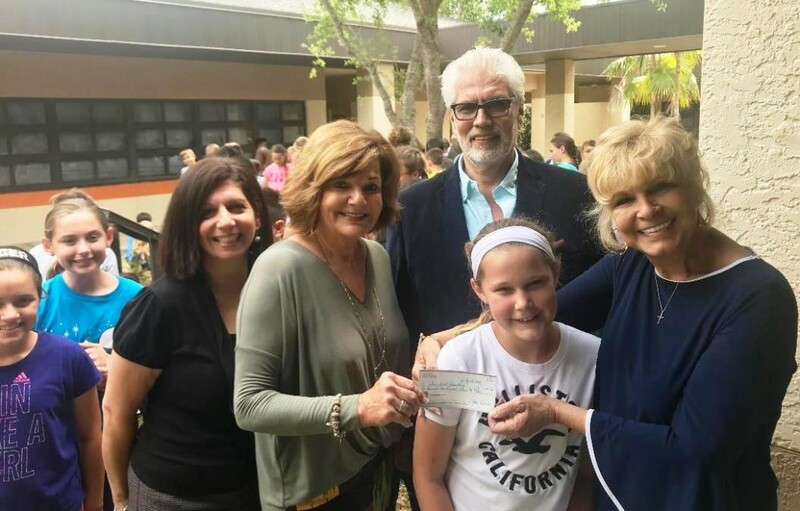 Joni and Joe Pavich (far right), J. Pavich Real Estate, recently presented a check to Three Oaks Elementary School Principal Jodi Moorhead (accepting the check) as part of Estero’s Education Initiative. The money will be used to buy shirts for the 5th grade students for their graduation trip to Busch Gardens in May. The Estero Educational Initiative was established to create a partnership between the Village of Estero and the Lee County School District to help make the schools in Estero the best they can be. It is the goal of this Initiative to create a public/private partnership between the Village of Estero and the Lee County School District, businesses, civic organizations, residents, parents and school staff to work together to encourage volunteerism in our schools and to raise funds to improve educational, recreational and esthetic experiences in our schools.